The government of Venezuela, once oil-rich and the fat cat of Latin America, is fighting for its political life after oil prices plunged and drought struck. The government declared a state of emergency, on Friday May 13. Behind the politics are ordinary people, such as the residents of Puerto Ordaz, struggling with a lack of power and water. Residents of Venezuela’s southern city of Puerto Ordaz enjoy pleasant views of the Orinoco and Caroni rivers and are a half hour’s drive from one of the world’s biggest hydroelectric dams. Yet most days they suffer water and power cuts. The irony is not lost on Marelis Gonzalez, who runs the “Las Chinas” food store. She is fed up with constant outages that halt her fridges, making drinks lukewarm and spoiling meat. 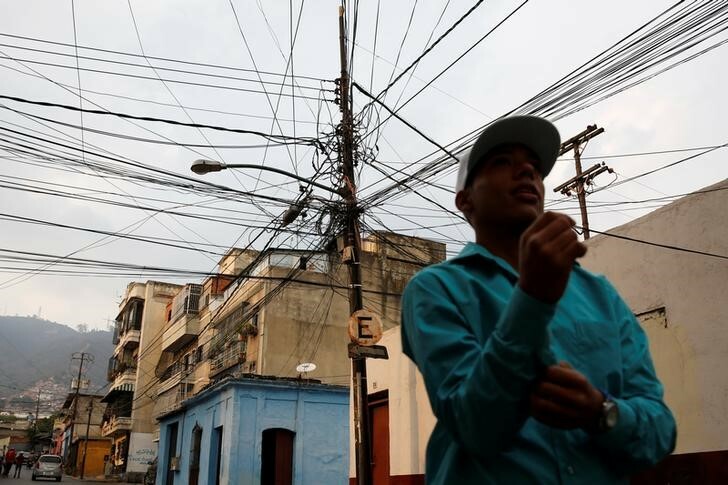 Venezuela’s energy and water problems have escalated in the last few weeks: yet another headache for the OPEC nation’s 30 million people already reeling from recession, the world’s highest inflation rate, and scarcities of basic goods. Officials in President Nicolas Maduro’s socialist government say they can hardly believe their bad luck. After the global oil price collapse slashed revenues by more than half, along came the drought-inducing El Niño weather phenomenon. That has sent water levels at the all-important Guri dam and hydroelectric complex, just south-west of Puerto Ordaz, to a record low and nearing a critical 240-meter level where some turbines would be inoperable. “It’s like having a car without any fuel,” Electricity Minister Luis Motta told Reuters, showing where waters at Guri had receded to reveal long-sunken boats, form sand dunes, and even expose roads flooded in the 1960s when the dam was formed. Already unpopular and facing an opposition push to remove him, Maduro has launched an energy-saving campaign and imposed rationing, although he euphemistically calls it a ‘Plan for Load Administration.’ But the government’s main hope is pinned on late rains in the south, forecast for May or June. Critics say the government is using El Niño as a convenient scapegoat to hide incompetent management of the electricity sector: insufficient investment, poor maintenance, corruption, and a failure to diversify away from the Guri which provides two-thirds of Venezuela’s power. After a 2009-10 drought that also led to electricity rationing and hurt late president Hugo Chavez’s presidency, the government poured investment into thermoelectric projects to try to prevent a repeat. Stalin Gonzalez, a lawmaker who heads the opposition-run National Assembly’s administration and services committee, said $21 billion had been put into the electricity sector since 2010. “What did they do during all this time?” he asked. Opposition politicians have lambasted Maduro’s power-saving measures, including giving state workers a two-day week, urging women to reduce the use of hair-dryers, and changing Venezuela’s time-zone so there is half an hour more light in the evenings. 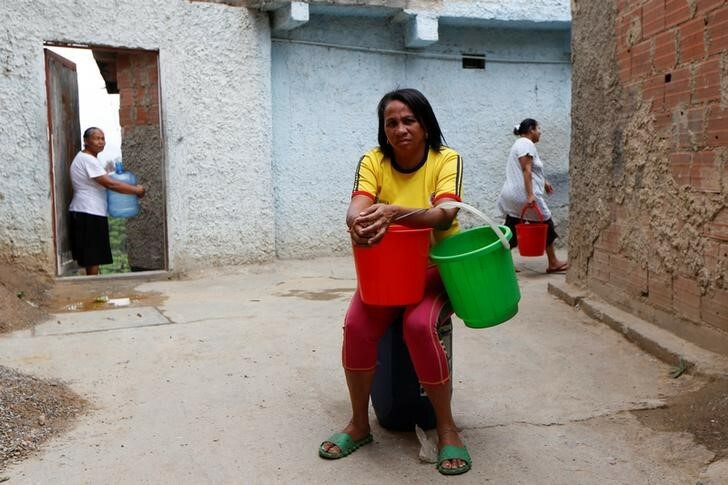 High up in the steep and cramped streets of Caracas’ Petare slums, one of South America’s biggest shanty-towns, residents count the time they last had running water – 1 year and 7 months – and need to go ever further and pay ever more to find it. Their neighborhood, ironically, is called “The Tank”, after a huge, rusting hulk of a water storage container that towers over shacks: it has been empty for years. Children snake up the hill with jerry cans filled from a well with precious loads of water. Residents purify water with vinegar, and carefully “recycle” it from kitchen to toilet. 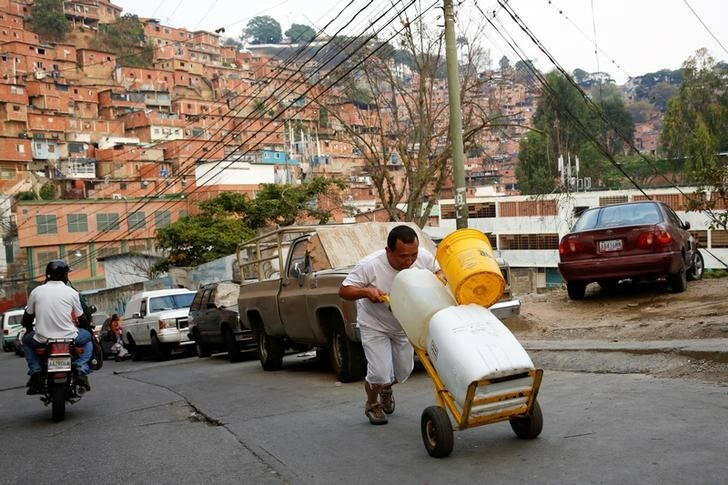 When they have money, families band together to buy a truckload of water, but the price has jumped to 25,000 bolivars – twice the monthly minimum wage – for 7,000 liters. Some channel rainwater off their roof into buckets via corrugated iron sheets. “I feel abandoned. It’s humiliating. 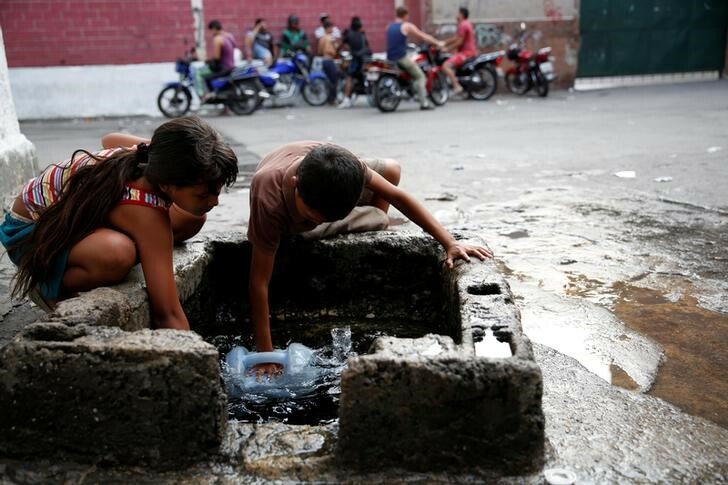 This is no life,” said community worker Yunny Perez, 46, saying her family now has to make painful choices between spending on water, food or medicines for a disabled child. 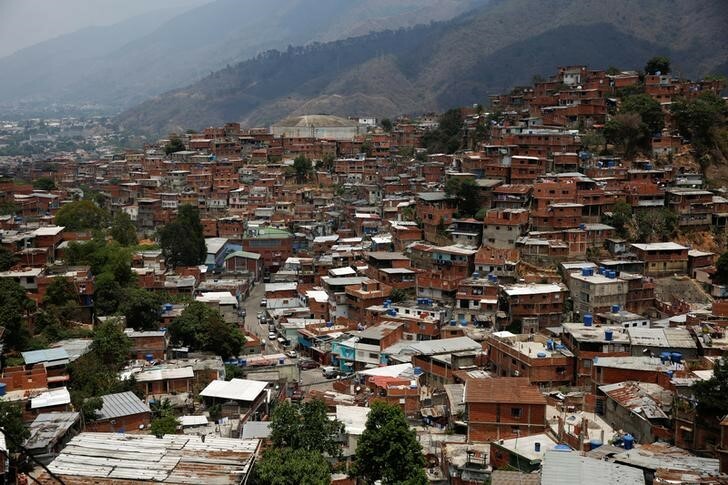 “We’re an oil country yet look at the poverty here,” added Perez, who used to be a “Chavista” or fervent supporter of the late president, but is disgusted with Maduro and has just begun supporting the opposition. So bad is the situation that thieves ambush water trucks to siphon off their load. Schools close early, malls and hotels have been ordered to rely on their own generators, and plastic water tanks are multiplying across the nation. Opposition lawmakers say the lack of water is increasing health risks, with scabies on the up for example. For a nation used to considering itself a rich kid on the block in Latin America – thanks to its oil wealth – the indignities from failing services are a blow to the national psyche. As well as having the world’s largest oil reserves, Venezuela has big areas of rainforest, plenty of gold and other metals, and vast water resources. Yet the tourist brochures showing luxuriant scenes of water gushing off Angel Falls or down the Orinoco River now seem like a cruel joke. Satirical web site El Chiguire Bipolar has been mercilessly parodying the situation. It ran one spoof story on the government submerging an overweight politician in the Guri to raise waters, and joked that now Mars-like conditions make Venezuela ideal training for astronauts. “The conditions are perfect: no water, only light by day, ferocious heat and precarious food sources,” it scoffed.